Greens will provide you with an office and commercial removals team who have the relocation project experience and resources to successfully move your business across Suffolk, Essex, Norfolk, Cambridgeshire, London or the UK with the minimum of disruption, maximum planning and open communication allowing you to continue your business as seamlessly as possible during the entire process. Your organisation may be moving to new premises within East Anglia, opening a new office or facility in the UK or in Europe, or simply moving key operations and personnel – and for the management overseeing these moves, it can be a potential logistical nightmare. 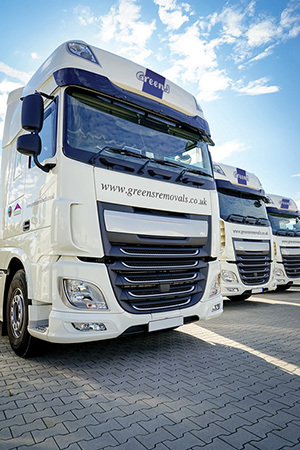 At Greens we have a Project Team of business removals experts who ensure a smooth, effective, stress free business move for companies in and around East Anglia including Ipswich, Colchester, Norwich, Cambridge, Bury St Edmunds, Chelmsford and Brentwood - Whether you are moving from one site to another or simply within the same building, we will work with you to ensure that throughout the move everything runs smoothly and professionally. With every move or phase of moves, we check results to make sure they match the deal we made with you. You can see how we have lived up to your expectations regarding financial savings and delivery times, along with many other Service Level Agreements. Meeting stringent quality standards such as BSI ISO 9001:2000 demonstrates that we are forging ahead in office and commercial relocation - and with an extensive fleet and a network of partners, resources, trained and qualified staff across the UK and internationally, you can rest assured that your business removals are safe in our hands. Our commitment to quality and service can through our accreditation and memberships can be viewed here.